Three of my photographs, Hope, Onacho and When I Light a Torch, were nominees in the fine art category of the annual Black & White Spider Awards. I definitely appreciate the nominee and Spider’s work in promoting photography as an art form. 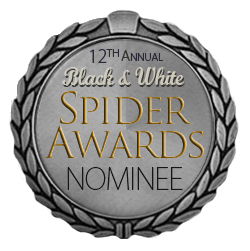 You can view all the nominees in the fine art category on the 12th annual Black & White Spider Awards page. LOS ANGELES (10/18) – Amateur photographer RW Hawkins of the USA was presented with the 12th Annual Black and White Spider Awards Nominee title in the category of Fine Art at a prestigious Nomination & Winners PhotoShow streamed Saturday, October 14, 2017.